More Murray Greys? Yes, Please! In mid-May we had a great opportunity to visit a farm in Ohio where an older couple were retiring from the ranching business. They had a lovely small herd of mature cows with good calving records and a handful of young heifers . 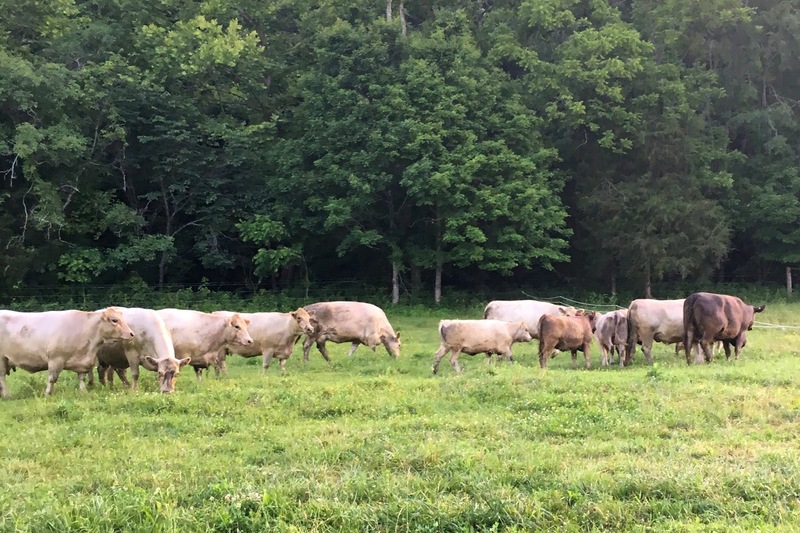 They were all ‘open’ (unbred) due to what they later learned was an issue with their bull. Anyway, it was a match made in heaven and we agreed to purchase 11 of them. It took about a month to get all the shot records and arrange cross-state transportation, but finally, they are here! They are really gentle and love to eat alfalfa cubes right out of your hand. We can’t wait to work more with these girls.